Seventy percent of women describing themselves as pregnant were advised to use marijuana as treatment when seeking advice from medicinal-marijuana and adult-use dispensaries in Colorado, according to a recent study published in Obstetrics and Gynecology. Further, more than 30 percent of these women were told marijuana is safe to use during pregnancy. Members of the research team, including lead author Dr. Betsy Dickson from the University of Colorado School of Medicine and the Colorado School of Public Health, had as their objective to "characterize recommendations given to pregnant women by Colorado cannabis dispensaries regarding use of cannabis products for nausea during the first trimester of pregnancy." A "mystery" shopper was used and the conversations were standardized with the caller describing themselves as being eight weeks pregnant and experiencing morning sickness. The study made 400 contacts to randomly selected medicinal cannabis dispensaries that were licensed by the Colorado Department of Revenue Enforcement as indicated on the division website. The original hypothesis was that 50 percent of dispensaries would suggest use. Sadly, the rate was higher at 69 percent. Additional considerations were given to responses of cannabis being safe during pregnancy, specific products suggested and whether the patient was encouraged to discuss marijuana use with their healthcare provider. The type of license was noted; retail, medical or both and location; rural or urban. Of the 400 dispensaries contacted, 37 percent were medicinal, 28 percent adult-use recreational and 35 percent were both. The recommendations were primarily offered based on opinion. 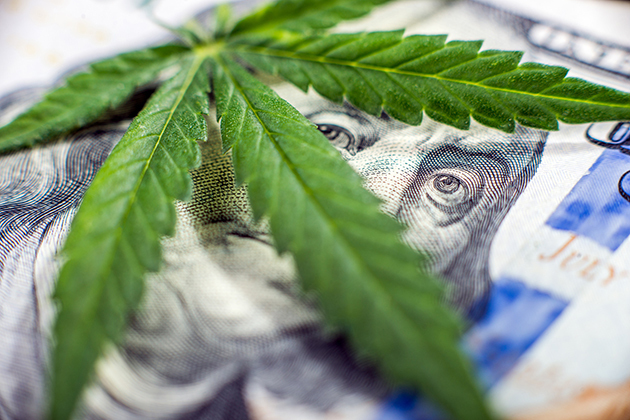 The rates of recommendation were 83 percent for the medicinal dispensaries, 60 percent for the adult-use recreational dispensaries and 62 percent if the dispensary had both. Only 32 percent suggested the pregnant customer discuss the treatment with a healthcare provider, but this did rise to 82 percent if prompted. There was no difference between rural and urban locations. Marijuana is not recommended for use during pregnancy. While the evidence is mixed, there is indication of harm to a developing fetus. Animal and human studies show that a prenatal exposure to marijuana may be associated with low birth weight and impaired neurodevelopment. Prenatal exposure was demonstrated to alter spatial processing, and this has implications for increased distractibility in a classroom. Prenatal exposure to marijuana has also been shown to result in reductions in brain connectivity. The American College of Obstetricians and Gynecologists (ACOG) not only does not recommend any use of marijuana during pregnancy, but discourage its use prior to conception, during pregnancy and while a mother is nursing. Public health protections in the legal marijuana industry are clearly absent when it comes to the innocent children and unborn. Dr. Kevin A. Sabet, president and chief executive officer of SAM-Smart Approaches to Marijuana commented, "Frankly, I am outraged. We knew that the marijuana industry was willing to go to vast lengths in order to make a profit, but this is going too far."